Before I start getting angry comments on the word “nerd,” let me be clear. I would’ve been the first kid to request a Bookworm party (had I thought of such a theme at the age of 8). I absolutely love reading, and nothing warms my heart more than seeing a little person cuddled up with a book! While the rest of my family was piling onto roller coasters at amusement parks during summer vacations, I opted to sit on the bench with my Goosebumps collection. To this day, I love nothing more than walking into a warm Barnes and Noble and being surrounded by piles of words. If your kiddo sounds like me, do them a favor and indulge their nerdiness! Plan a Bookworm party with these cute ideas. One of the easiest things to use for decor is already in your house! Just pile some of your favorite books around and use to add height and dimension to your dessert or gift table. If you’d like a “cleaner” look, try wrapping some of the hardback books in some plain paper or fabric that matches your theme colors. Or add some patterns and make it even more fun! Photo credit, TwoTwentyOne.net. Click for the full tutorial! Banners are always a great solution when you want simple decorations. While I could personally never desecrate a book, you could purchase a book from a dollar store to cut out your triangles! For scaredy-cats like me, just make a copy or buy printed scrapbook paper instead. Last but not least, glue your book pages to some streamers or ribbon! You can hang them behind the dessert table for a cute backdrop, or above the table for gifts to add a little more bookish ambiance. Photo credit, Erica Ann Photography. I’m always a sucker for heartwarming quotes, so we’ve put together some printable decor for your Bookworm party! Frame them and put them on a table or nestle in a centerpiece for a little pop of literature. Click for the printable version! *These story starters were courtesy of a fun online tool by Scholastic.com! Make your own here. Just print, cut out, and fill in! 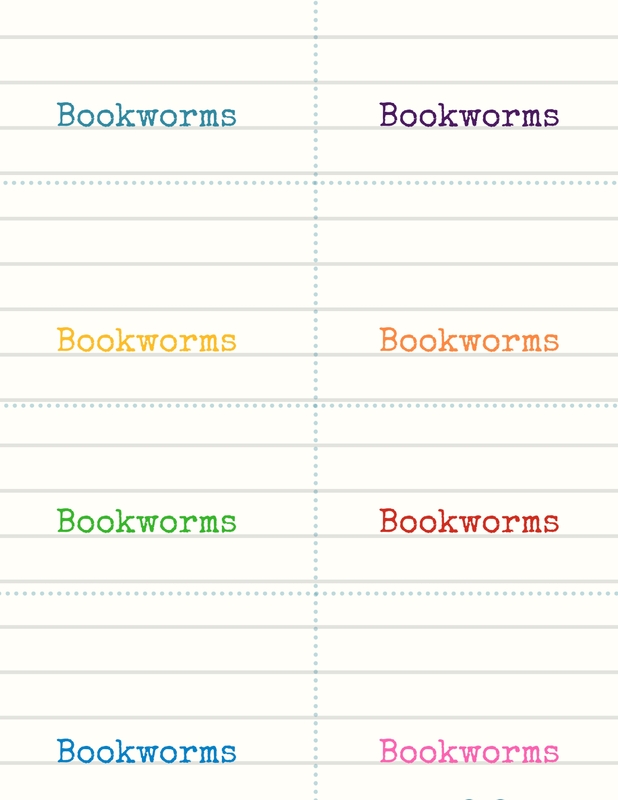 Voila, instant Bookworm party game that your little nerds will love. If your little bookworm’s friends love reading just as much, try organizing a book swap at your Bookworm party! Have everyone bring a gently used book that they’d love to share with someone else. You can either set up a time to let your guests describe why they liked it, or simply have a table set up to facilitate the swaps. Want to bring your kiddo’s love of stories to life? Hire a professional storyteller! They can regale the party guests with original stories or even help retell old favorites. Some can even accommodate costume requests and dress up like the character they’re portraying! Find Storyteller Casey on GigSalad.com! It’s time to get crafty! Set up a “Make Your Own Bookmark” station and let guests create their own Bookworm party favors. You can put out things like cardstock, washi tape, markers, and stickers. When they’re done, punch a hole in the top and tie in a piece of yarn. Easy! Here I go again, incorporating book pages into the Bookworm party! But this idea is so simple and cute; I just couldn’t resist. Simply cut out your pages, fold, and glue the edges. The tutorial below suggests sewing them, so you can do that, too! Make sure you choose pages that are pretty sturdy for this craft. Then fill with candy for a cute favor! Photo credit, EllaClaireInspired.com. Click for the tutorial! Hey, here’s another printable for you! For an adorable Bookworm party favor, fill some small plastic bags with gummy worms, then staple them shut with the tags. Couldn’t be easier! Ready to book something awesome for your Bookworm party? Find the best on GigSalad.